A unique addition for bass players, the ABG-4 is portable but still offers the common 34" scale. The solid top found on better acoustics provides a punchy but warm bass tone. 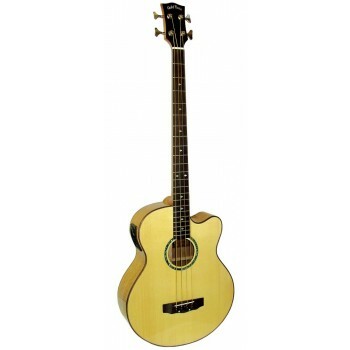 This is the only acoustic bass available with a dual pickup system for on stage or recording use.